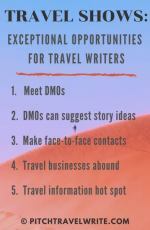 If you look at the most successful travel writers, you’ll see that one major factor behind their success is that their stories are published in many different magazines and a variety of other media. Travel writers who make the mistake of establishing relationships with only a few “regular” magazines and then cease to look for new markets get into trouble. Of course, it’s far easier to sit comfortably on a few of your regular magazines and write for them. You don’t have to go hunting for new outlets or breaking in new editors. But, what happens when one of your ‘regular’ magazines shuts down? You panic - because a steady source of revenue has suddenly vanished. One small portion of the magazine rack at my local bookstore - there are plenty of outlets to choose from. Unfortunately, magazines come and magazines go with alarming regularity. Or, your favorite editor leaves and is replaced by someone who insists that you start from scratch. This can leave you high and dry, scrambling for new outlets to replace that income. It’s happened to me a few times. The only way around this is to continuously expand your writing outlets. Even when you’ve established a steady rapport with several magazines and media, get out there and find more outlets. The more outlets, the more you will get published! 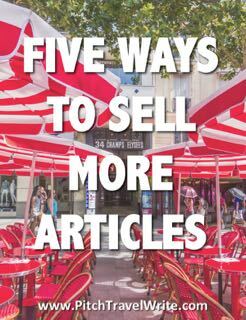 Entire books like Writer's Market are written that list potential markets for your articles. 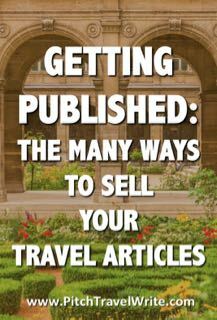 As a travel writer you need to use a variety of books as resources and build your own lists of sales leads, based on the genres and types of articles you write. And even though some magazines fold each year, there are also many new magazines that come on the market. It’s important to be aware of all the possibilities so you have a variety of outlets to place your articles. The first, and most obvious place to query is the “pure” top shelf travel magazines (such as Islands, Travel & Leisure, Conde Nast Traveler, etc.). They pay well and make highly respected bylines. But the competition for these travel magazines is fierce. If you want to get published more frequently, you also need to pitch other magazines beyond the top shelf to cover your bases. In-flight magazines are also at the top of the pile and have the advantages of prestige and (often) high pay. If you decide to pitch an in-flight, be sure to focus on stories about destinations along their travel routes. 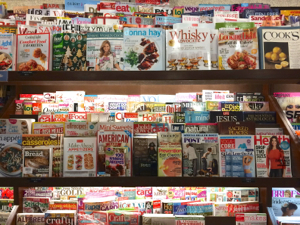 Many lifestyle magazines have dedicated travel sections. Look through your favorites to see what kinds of travel stories they run, and don’t hesitate to query these magazines. Another publication genre that regularly features travel stories is food, wine and beer magazines. Think about it - when we travel we need to eat and drink, so it’s natural for many magazines in this genre to include some travel stories for their readers. You can also get published in your local newspaper. Many newspapers have travel sections, so they should be on your “pitch list”. And the newspaper doesn’t need to be local, either. 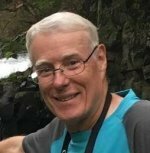 I’ve had stories published in newspapers in Oregon and New Zealand while living in Seattle. Alumni magazines are another surprising and untapped market for travel stories. A good starting point is the alumni journal of the college or university you attended. Look through the alumni magazine for your alma mater. What kinds of travel stories are featured? Often the stories focus on alumni doing some kind of unique work overseas. A college or university in your local area is another place to investigate, even if you didn’t attend school there. Find out the name of the editor, get a copy of their publication and find out if they accept pitches from local writers. Trade magazines often have travel sections. The editors of these magazines always appreciate stories that tie together their trade or industry with some sort of travel piece. If you are involved in a particular trade or industry you will have the inside track to get published since it will be easy to introduce yourself the editor and make your pitch. Similarly, business magazines often have travel sections, especially when the travel story focuses on business “hot spots” like Hong Kong, London, New York or whatever cities are trending at the time. 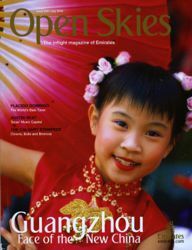 Special interest magazines like art and photography frequently include travel stories. Golf, running hiking, sailing, kayaking and other sports often have sections dedicated to travel, revolving around the magazine’s interest. If those are your interests, too, it’s a great fit and a pleasurable way to do research and get published. I’ve had numerous travel articles published in sailing and yachting magazines, covering marinas around the Pacific Northwest. I’m not a sailor but I enjoy writing about maritime destinations. Most are only a short distance from home, and my wife and I get to enjoy some nice day trips and weekend getaways doing the research. History magazines are another surprising genre for travel stories. You might not think these kinds of magazines are likely places to get a travel story published, but I sell numerous travel articles to history magazines every year. I love researching and writing about history and continue to work this genre with ease. A few magazines that have taken my stories are Aviation History, World War II Quarterly, and Renaissance magazines. You can also sell your stories to the overseas market, in any of these genres. Pitching stories to other English-speaking countries around the world can help you to earn more from each article. Many travel writers enjoy writing gigs for guidebooks, and it’s one place where you can keep an eye out for these assignments. If you decide to write for a guidebook, be sure to closely examine what guidebook companies are offering to pay you. 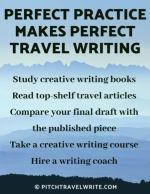 Many unwary travel writers have spent months writing a guide book, or upgrading one, only to realize they’re being paid about $2/hour. Estimate your writing time and travel costs before accepting an assignment. 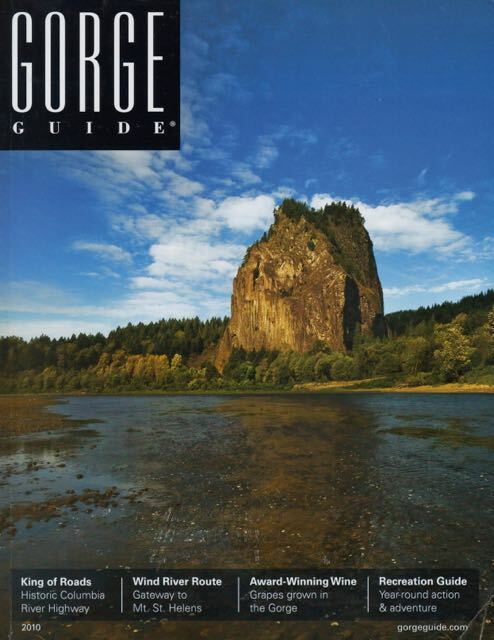 Many tourist agencies publish regional travel guides, and these are fair game for travel writers. They can be challenging to break into until you have some bylines. You can also write your own guidebooks. For example, if you write a lot of articles about a specific destination, you can use those articles as raw material to publish your own guide. Be warned, you will need to figure out how to promote it, whether to offer it in digital or print format - or both, and how to price it. But self-publishing can be rewarding even if you only sell a modest number of guides. Technology and the Internet make this an easy process these days. Travel collections and anthologies are always looking for well-written stories about off-the-beaten-path destinations, or ones that have something distinctive about them. Most of them have a specific focus: humorous episodes during your travel, or life-changing experiences, for example. These kinds of collections are hard to break into, and usually happen to travel writers who’ve been in the game for a long time. Requests for stories usually go to established writers, but sometimes editors will put out a request for stories and anyone interested can submit one. There’s no guarantee yours will get published, of course, but you won't have a chance if you don't try. The Internet opens up multiple opportunities for travel writers to get published, especially novices. 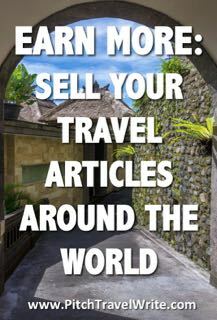 There are thousands of online travel magazines and blogs screaming out for your travel stories. Most of them don’t pay (although a few pay small amounts), but it's a good way to build your bylines when you're just getting started. 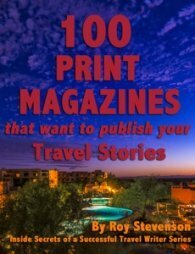 The bottom line is this: there are plenty of outlets for your travel stories over and above the standard travel magazines. If you want to get published more frequently all you need to do is look beyond the obvious choices. Open your eyes to the wide variety of media available. Then take the usual steps to pitch your stories and get them placed among the different media that suit your own style, interests and writing goals.